The Hayes offers comfortable bed and breakfast accommodation located on the edge of Corbridge, near Hadrian's Wall in Northumberland. 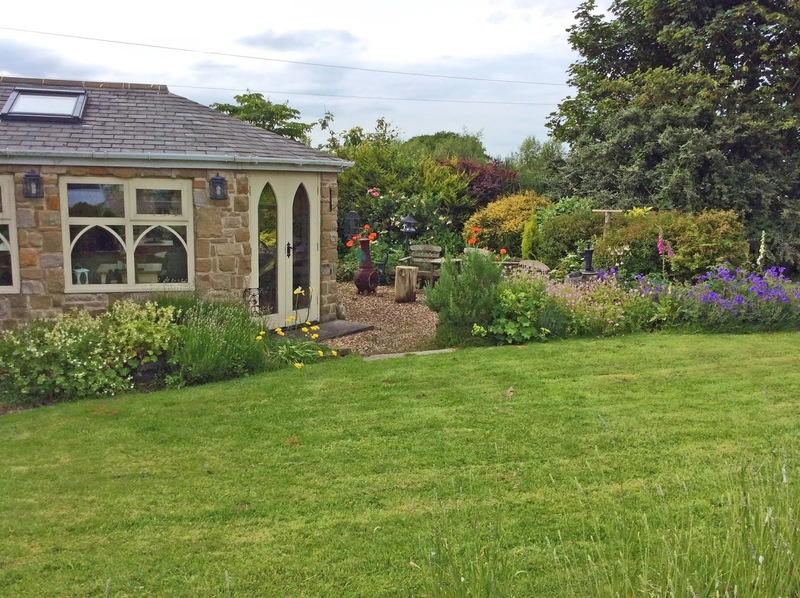 This beautiful 19th century b&b lies in seven acres of garden, woodland and pasture, with splendid views over the Tyne Valley. There are a total of four bedrooms at the B&B, and a spacious lounge with a TV where guests are more than welcome to relax. Corbridge has its famous bridge over the Tyne River, and Aydon Castle is nearby. Peaceful, unspoilt Northumberland is a region of spectacular castles and coastline, and is ideal for walking. There are numerous other places of interest to visit, such as Kielder Water, and the Scottish Borders. 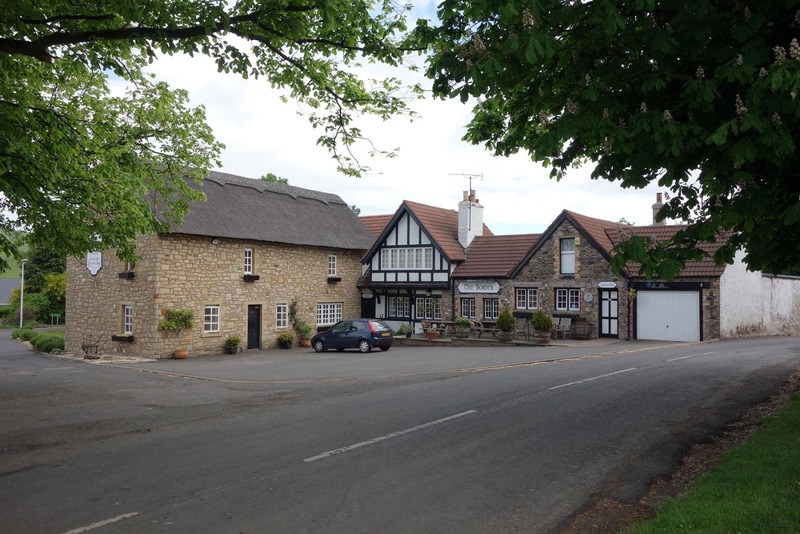 The Border Hotel is a traditional Scottish property that offers comfortable and cosy hotel accommodation in Kirk Yetholm. Situated at the end of the 268 mile Pennine Way, it's a great place for walkers to have a well-earned rest, or set off from. 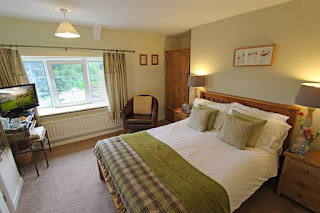 There are five guest rooms, each offering exceptionally high standards of comfort with spectacular views over the village green or the surrounding countryside. All are as charming as they are functional, with en suite shower and bath, flat-screen digital TV, tea and coffee facilities and radio alarm clock. Breakfasts are served from 8.00am and offer a comprehensive choice from the traditional Scottish breakfast to the popular scrambled eggs with smoked salmon. For those wishing an early start, breakfast trays are available. The bar boasts a range of local cask conditioned ales, fine Scotch and spirits. Lunch and dinner are both available, and on Sunday there's a carvery to tuck into. The Border's approach to food is simply to use the best quality local ingredients, cook them simply and let the quality speak for itself. Those travelling the St. Cuthbert's Way might arrive in the village less wearily than walkers concluding the Pennine Way, but for both groups the Border Hotel is an extremely welcome sight. Kirk Yetholm is also the start point for the 470 mile Scottish National Trail. 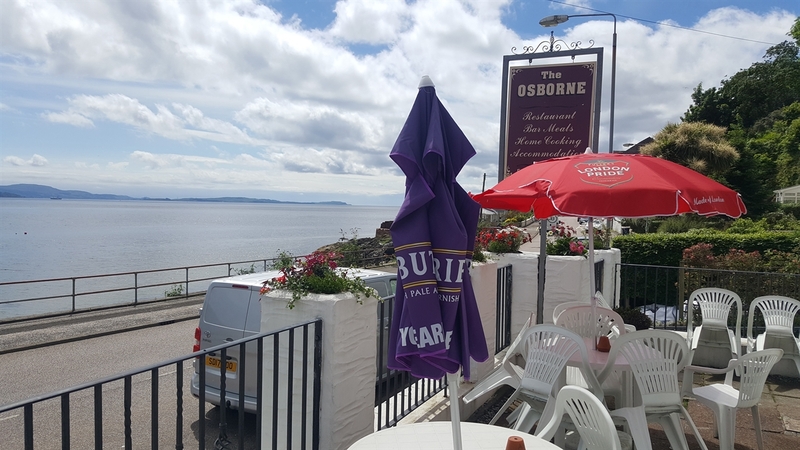 The Osborne is located within the village of Innellan, 4 miles south of Dunoon, Argyll. There are wonderful views over the Firth of Clyde from the bed and breakfast. 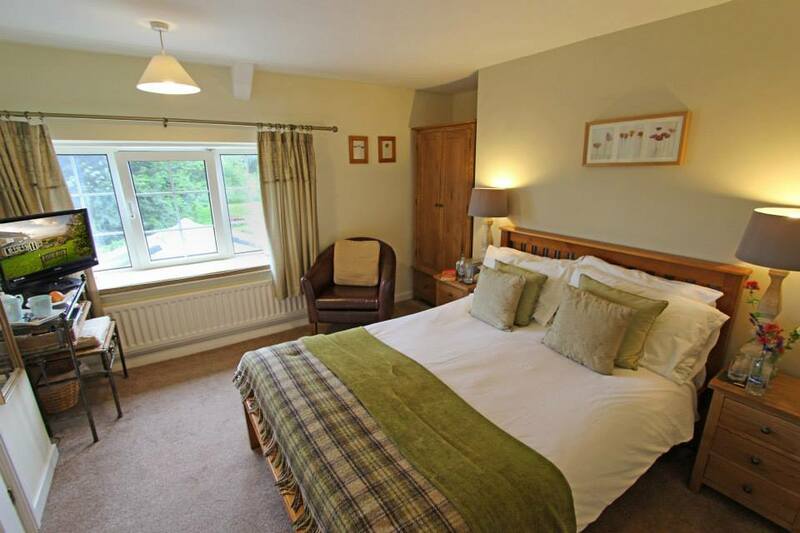 The guest bedrooms all have a TV, Wi-Fi and tea/coffee making facilities. There is a bar available which serves a range of beverages. The restaurant offers lunch, dinner, Sunday lunch and fish and chips. Ingredients are locally sourced where possible. The Firth of Clyde is one of the largest areas of sheltered deep water in the British Isles. Dunoon town is the main resort on the Cowal Peninsula. The town has shops, places to eat, leisure centre and Victorian Pier. There are many interesting attractions to visit in the area such as Castle House Museum, Benmore Botanic Garden and Argyll Forest Park. Chilgrove Farm Bed and Breakfast is the perfect spot for a peaceful and relaxing break. Located in the small hamlet of Chilgrove, just 6 miles from Chichester, the accommodation is spacious & comfortable. Whether you are visiting the Chichester area on a well earned holiday or leisure break, or as a business visitor, you can be assured of a warm welcome and complete peace and tranquility. 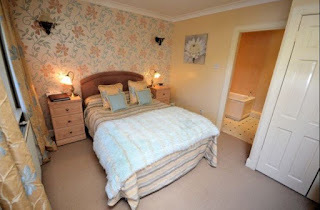 The guest rooms at the B&B are all en suite and each come equipped with TV, DVD player, toiletries, hair dryer, Wi-Fi and tea/coffee making facilities. 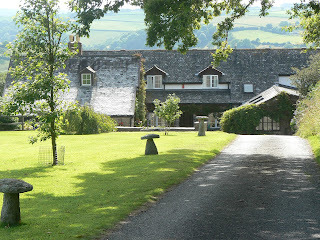 In the morning a full English breakfast is served in the farmhouse dining room. The farm B&B is ideal for walking and cycling and is within easy walking distance from the South Downs Way and the Monarchs Way. The city of Chichester is 6 miles away and includes attractions such as the Festival Theatre, Chichester Harbour and many more places of interest. East Byermoor Guest House is a 17th century farmhouse offering 4 star accommodation in the town of Whickham, 5 miles south west of Newcastle upon Tyne. 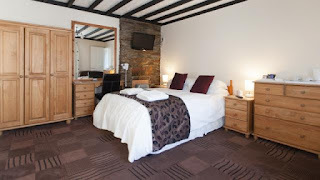 The guest house offers 2 double en suite bedrooms and 1 twin en suite. 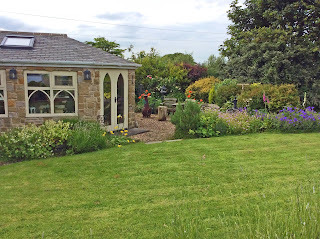 In the morning, a full English breakfast is served in the garden room which has lovely views. If you would like an alternative to a cooked breakfast there is fruit, yoghurt, scrambled eggs, smoked salmon or croissants as other choices. Discover the fascinating array of places of interest from the busy cities of Newcastle, Durham and Sunderland to the gentle landscapes of Northumberland and Weardale, from one of the largest shopping malls in Europe, the MetroCentre, to the unspoiled coastline of Northumberland, from the nostalgia of Beamish Open Air Museum to the modern Centre for Life in Newcastle. Guests get 25% off the Beamish Open Air Museum. Originally the gamekeeper’s home on the Stucely Estate, Old Keepers Cottage is a charming bed and breakfast dating back to the early 1800s. This b&b has loads of character, including a beamed kitchen with aga, and a large sun terrace with stunning views of the river and valley. 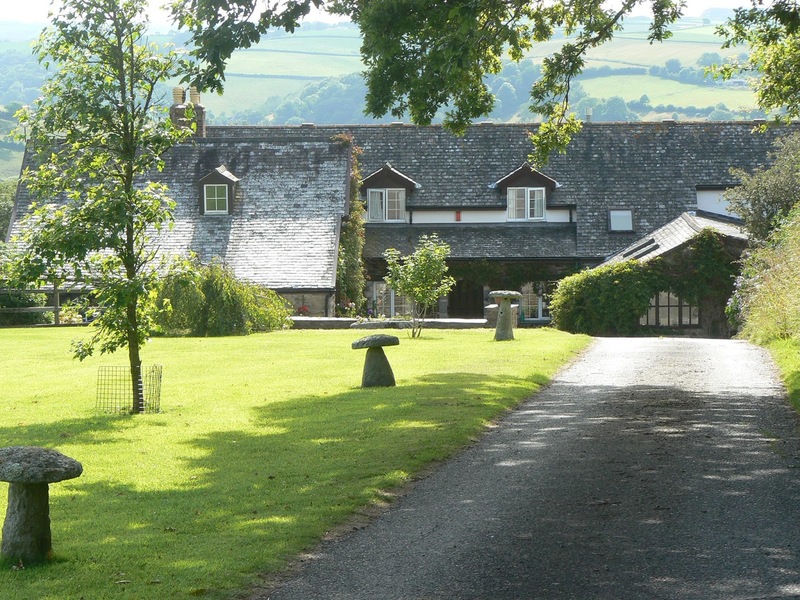 Located down a quiet country lane just outside Bideford in North Devon, it's the perfect place for a peaceful break. Bedrooms are beautifully furnished and come equipped with TV, radio, free Wi-Fi, hair dryer and complimentary beverage facilities. 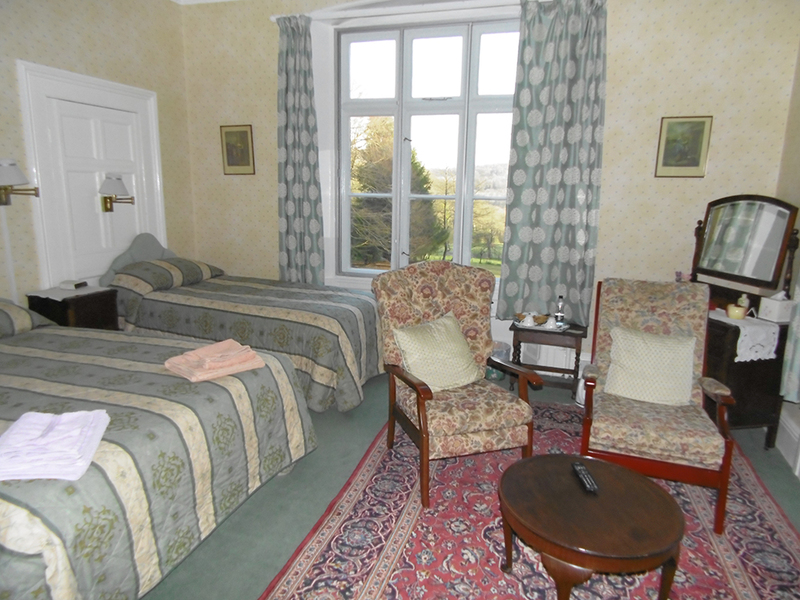 All of the rooms have fabulous views of the river, garden or surrounding countryside. 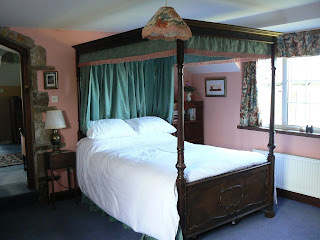 Prices include an extensive breakfast that uses locally sourced, fresh produce and a delicious Devon Cream Tea on arrival. 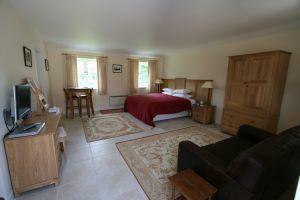 There is also a cosy sitting room with large comfy sofas, a wood burning stove, TV, books and games. 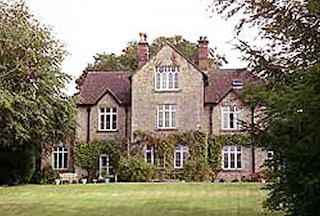 The b&b is nestled in 30 acres of fields and woodland, with pretty walks through the woods down to the river. There are many interesting places within a 10 minutes drive such as the beach at Westward Ho!, the fabulous South West Coastal Path, Royal North Devon Golf Club, RHS Rosemoor and the Tarka Cycle Trail. 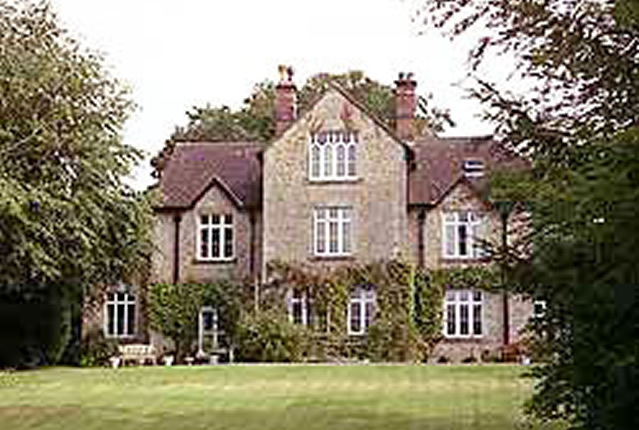 Gala Guest House is located in the Fishponds area of Bristol. This is the ideal accommodation for those visiting on business or leisure, as the centre of Bristol is just 5 minutes drive away. There are 12 guest bedrooms available which all come with a TV, free Wi-Fi and a fridge. Ground floor rooms are available. There is also a kitchen available to guests, and for guests that want to relax there is a communal lounge area. The accommodation is ideally placed just a short walk from shops, local amenities and places to eat. There is plenty to see and do in the city such as visiting SS Great Britain, Clifton Suspension Bridge and Bristol Zoo. The King Arthur’s Arms Inn is a family friendly pub offering 4 star accommodation and good food in the heart of Tintagel. Come and explore King Arthur's country! The inn is situated within easy walking distance of the breathtaking cliffs and the mythical home of King Arthur at Tintagel Castle Ruins. There is so much to see and experience that you must plan to relax and just take a peek at a small part of Cornwall then plan your return visits. You must make time to do it Drekely as the locals say, Cornwall is about slowing down and taking time to stand and stare.